For nearly one year, EPA and state officials (and presumably the president) knew, according to Congressional testimony, that residents of Flint, Michigan, were drinking, bathing, washing dishes in lead-poisoned water, and providing formula laced with poisoned water to infants. 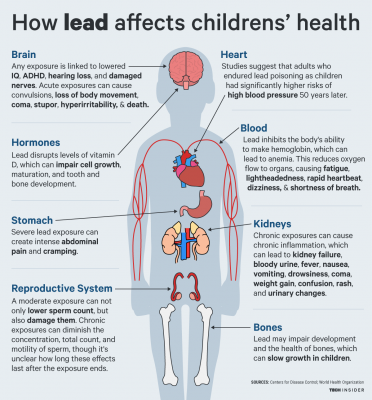 There is little hope for Flint’s predominantly black children who have ingested, and absorbed dangerous levels of lead. The poisoning of Flint’s water supply was simply the latest act of domestic terrorism towards Africans in America. Ice sculpture at State Capitol Building in Lansing, MI. But, the horror of the Flint water crisis has not stopped. What has stopped is the corporate media coverage of the carnage. This week, a federal judge, David Lawson, ruled that residents of Flint who continue to face lead contamination of their water supply are entitled to delivery of free bottled water to their homes. State officials must deliver each week four cases of bottled water to Flint households that don’t have “properly installed taps.” This ruling, while important, clearly falls short of the dignity and respect Flint residents deserve. In fact, the State of Michigan, without remorse or shame, has argued against such provisions. 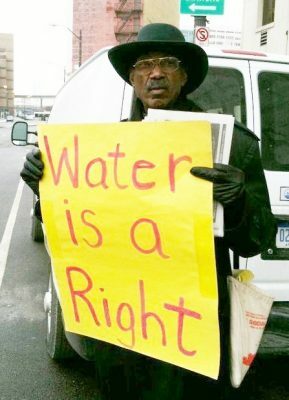 The late Tashi Kiya at protest against mass water shut-offs in Detroit. The State has argued that water delivery to qualifying households is an additional unnecessary expense costing $9 million. It was this same kind of argument that led the City Manager appointed by Michigan Governor Rick Snyder in April, 2014, to switch the city’s water supply to the polluted Flint River and then failed to require the city, because of financial considerations, to use corrosion controls to prevent lead from leaching off water pipes to private homes. If the residents of Flint were considered fully human or valued citizens why should they have to fight for the provision of clean water? As humans and citizens this is their right! The State has shown, once again, that Black lives do not matter in Flint and that residents will have to fight for life-sustaining water. The poisoning of Flint water should be considered an act of terror and should have been prosecuted under US terrorism laws and all involved indicted for domestic terror. But not one senior EPA or state official was fired or indicted — criminal blame was reserved for low-level technicians. The poisoning was never treated as an “emergency” situation. In fact, until residents of Flint started to protest, federal and state officials were content to allow the poisoning to continue. Pres. 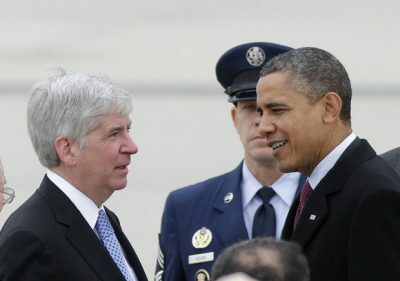 Obama greeted by Mich. Gov. Rick Snyder on his arrival in Flint. 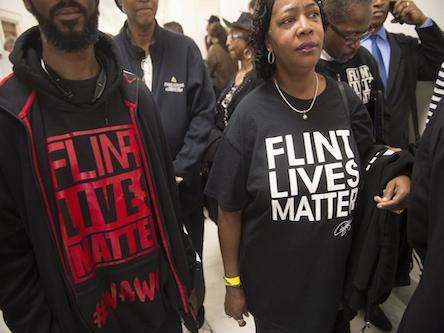 What this crisis has clearly exposed is that Flint was a deliberate poisoning of a low-income Black community. The perpetrators of this terrorist act were rewarded with blanket immunity and protection by the State. The EPA Administrator and Governor of Michigan will soon reap the benefits of being “good Germans” as they leave public service for lucrative private sector positions. It took President Obama nearly two years to travel to Flint for what was promoted as a “briefing.” How different the reaction of the Obama administration would have been had ISIS claimed responsibility for poisoning Flint. 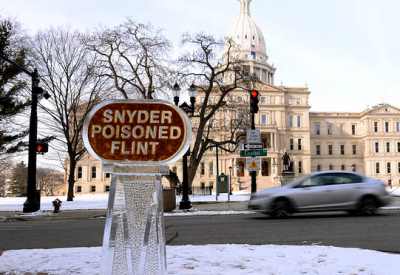 According to congressional testimony by EPA Administrator Gina McCarthy, the EPA’s paltry excuse for not invoking congressionally mandated emergency powers was that they wanted to allow Michigan State agencies enough time to settle this matter. In the interim, women suffered miscarriages, Flint residents suffered strokes, and children developed neuro-toxic levels of lead poisoning that impact their intellectual and cognitive function. 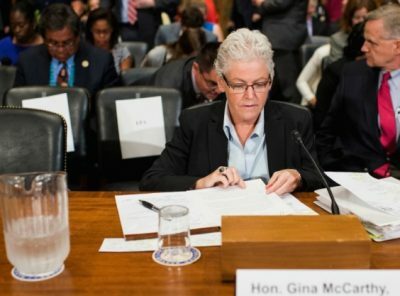 EPA head Gina McCarthy testifying at Congress Sept. 15, 2015 about Flint water crisis. That is obviously NOT a jug of Flint water at her side. Members of Congress called for the resignations of both the Michigan Governor and the EPA Administrator. While Obama did not have the power to unseat an elected Governor, he has the power to fire EPA Administrator Gina McCarthy who serves at the pleasure of the president. His decision was to leave McCarthy in place presumably because of the good job she performed in Flint. 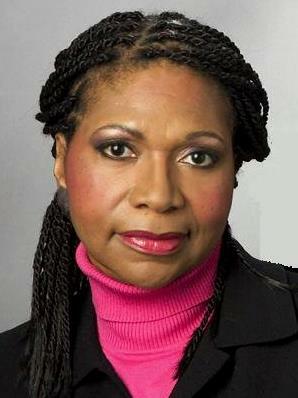 What is perhaps most revealing about the background story of the poisoning incident is that President Obama, by leaving McCarthy as head of the EPA, reaffirmed his faith in her abilities to carry out the mandate of his administration, including handling the more than over 300 additional water systems throughout the country, primarily in Black and low income communities, that indicate toxic levels of lead in the water. History will judge that the Flint water crisis is the pathway for future genocidal acts against Africans in America just as the Tuskegee experiment was the pathway to Flint. One should note that the Tuskegee experiment (1932-1972), conducted by the US Public Health Service, consisted initially of a sample size of 399 Black men. The Flint water poisoning “experiment” (starting in 2014) consisted of a city of nearly 100,000 residents. The escalation of organized violence, such as Tuskegee and Flint should trigger a mass movement to protect African life particularly as we contemplate policies of the Trump Administration. Dr. Marsha Adebayo is the author of the Pulitzer Prize nominated: No FEAR: A Whistleblowers Triumph over Corruption and Retaliation at the EPA. She worked at the EPA for 18 years and blew the whistle on a US multinational corporation that endangered South African vanadium mine workers. Marsha’s successful lawsuit led to the introduction and passage of the first civil rights and whistleblower law of the 21st century: the Notification of Federal Employees Anti-discrimination and Retaliation Act of 2002 (No FEAR Act). She is Director of Transparency and Accountability for the Green Shadow Cabinet and serves on the Advisory Board of ExposeFacts.com. This entry was posted in Uncategorized and tagged DETROITBELONGSTOITSPEOPLE, Flintlivesmatter, StopGenocide, Stopwatershutoffs, WATERISARIGHT. Bookmark the permalink.